Donald (Spouse) knows what I like. Wine, food, travel. Music. More. 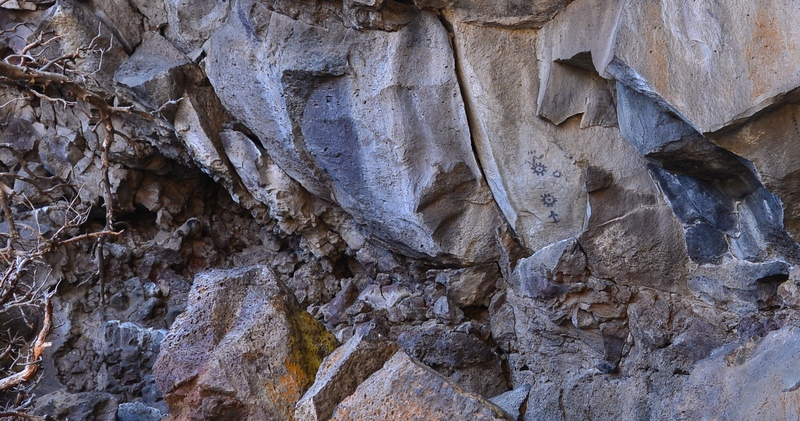 And Petroglyphs & Pictographs wrapped in a Lava Tube! A+! 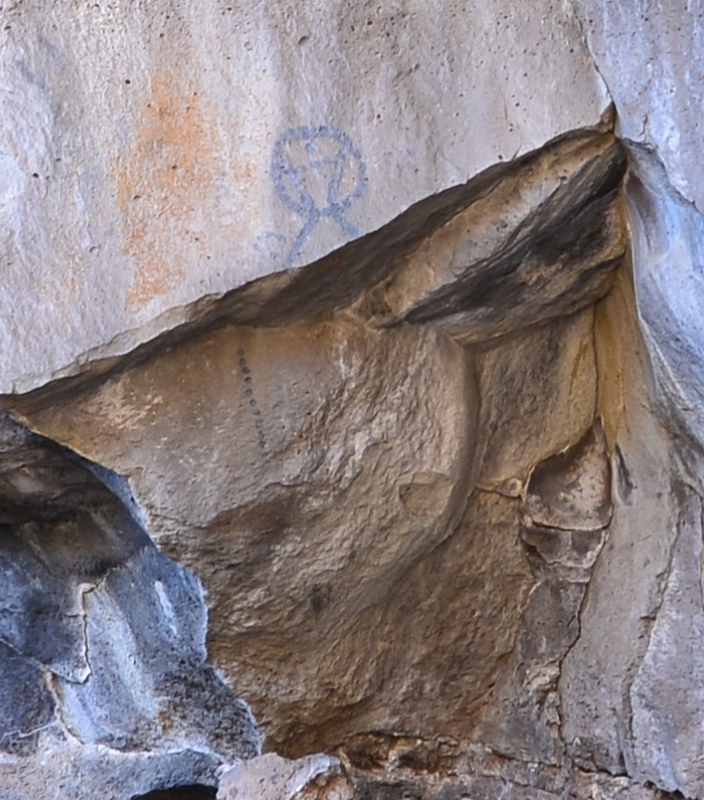 I have forced Donald to drive long distances to see Indian (no, wrong…) Native American Cave Etchings (Petroglyphs) & Paintings (Pictographs). These precious works of art/history/personal journals/warnings to interlopers simply fascinate me. And now we both have a new interest, fostered by Super Ranger Guy at Milo McIver. 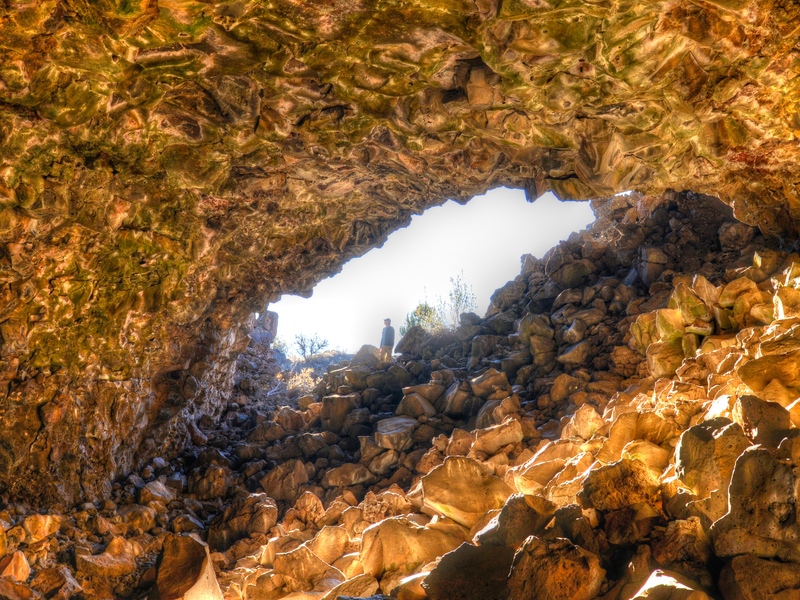 Lava Tubes aka Lava Caves. We were departing Milo Mc one day – just to drive North. Guy asked where we were headed and immediately launched into Tour Guide and Nature Lover mode. 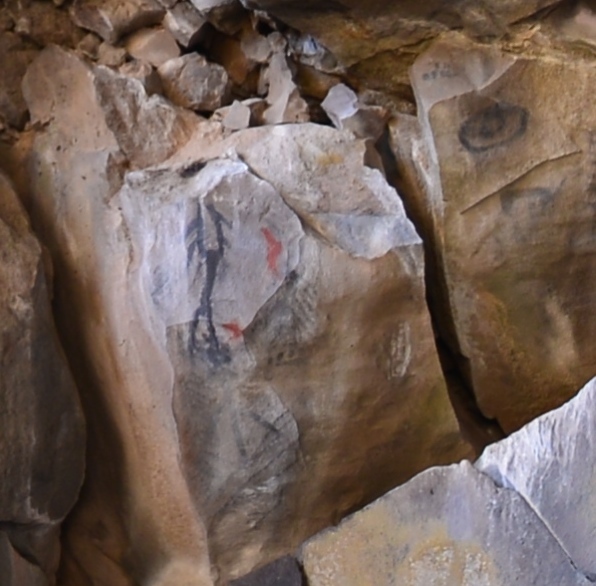 He thrust into our hands headlamps (with – hopefully – good batteries) and instructed us to drive to (and explore) Ape Cave. Immediately! And now we are Hooked! 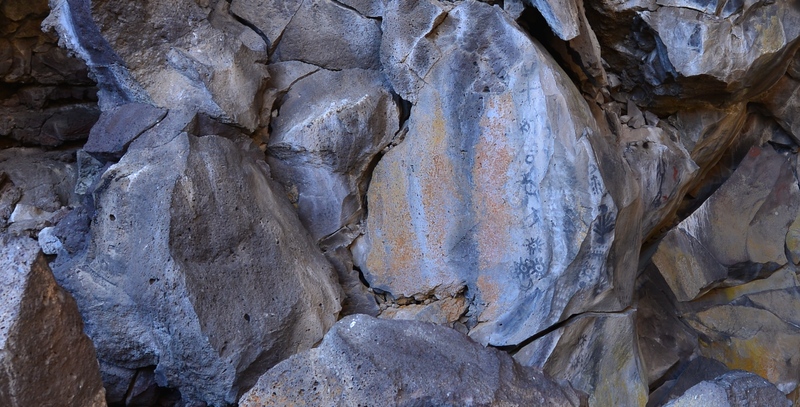 We visited Ape Cave and scrambled up the 8′ rock wall and the “Meatball” in the middle of the tunnel. 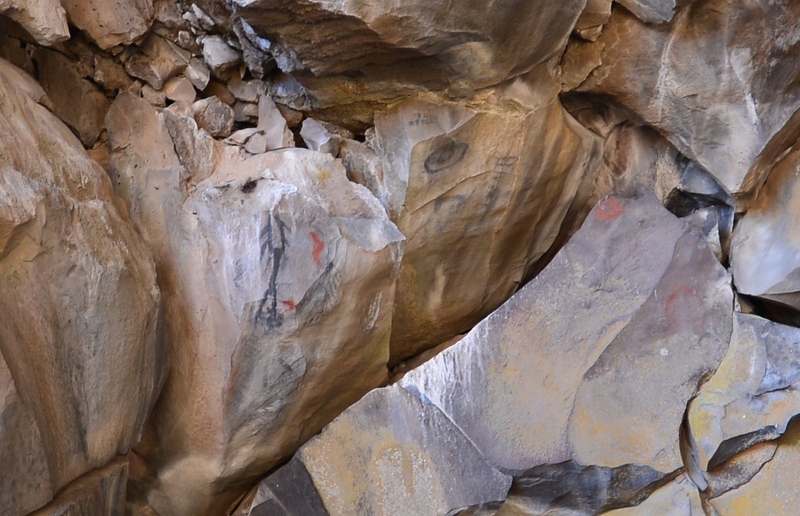 It was great and we were so thankful Guy’s batteries did not run out….no electric in this cave! and thankful, of course, that Guy pointed us North in the direction of the nearest cave – and longest cave in the Western Hemisphere. 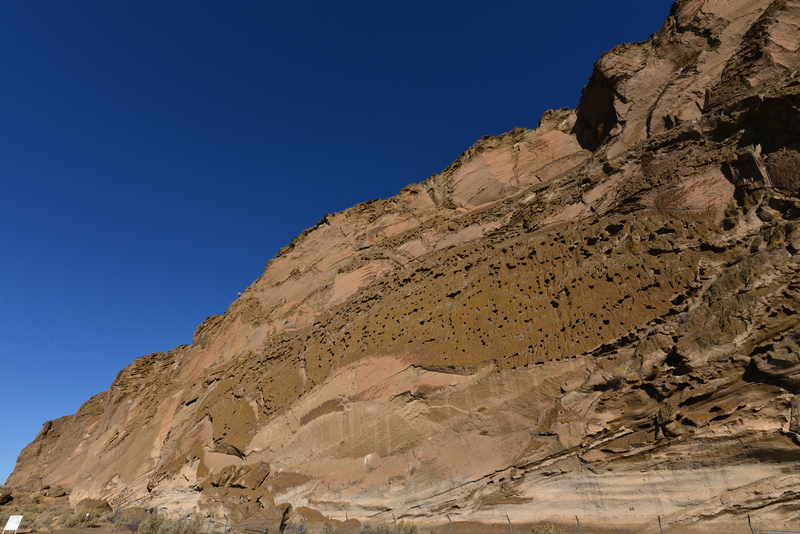 So….when we departed the great state of Oregon and headed to NOCAL to the Lave Beds National Monument. 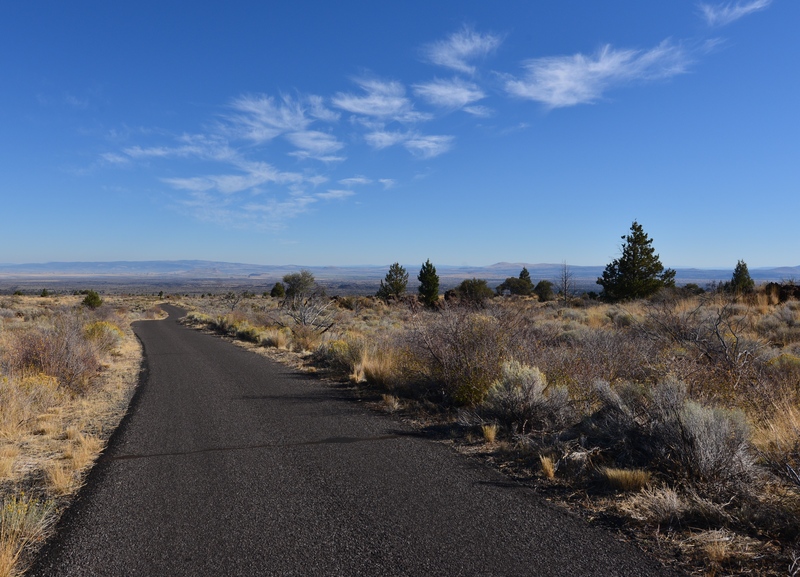 Lava Beds is really out-of-the-way for the usual road trip. I enjoy exploring these unusual, low-visitation parks. Yes, I love Yellowstone, but these National properties far away from main Interstates are unusually great. 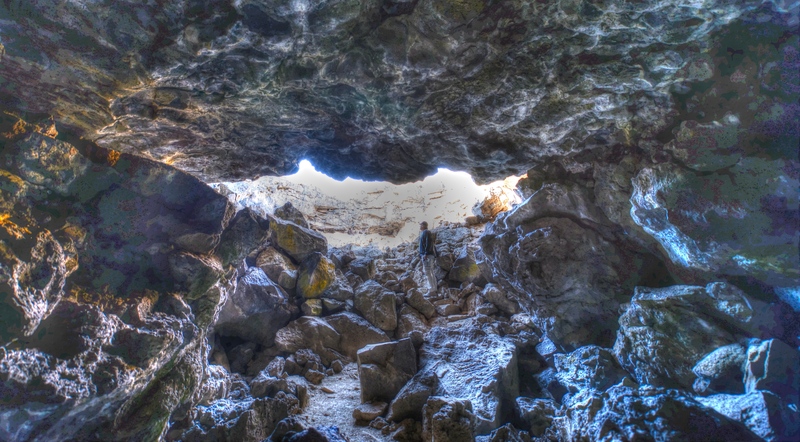 Lava Beds was no exception – the park has over 200+ discovered caves – many open for exploration. All I knew was that Lave Beds had, well. Lava. 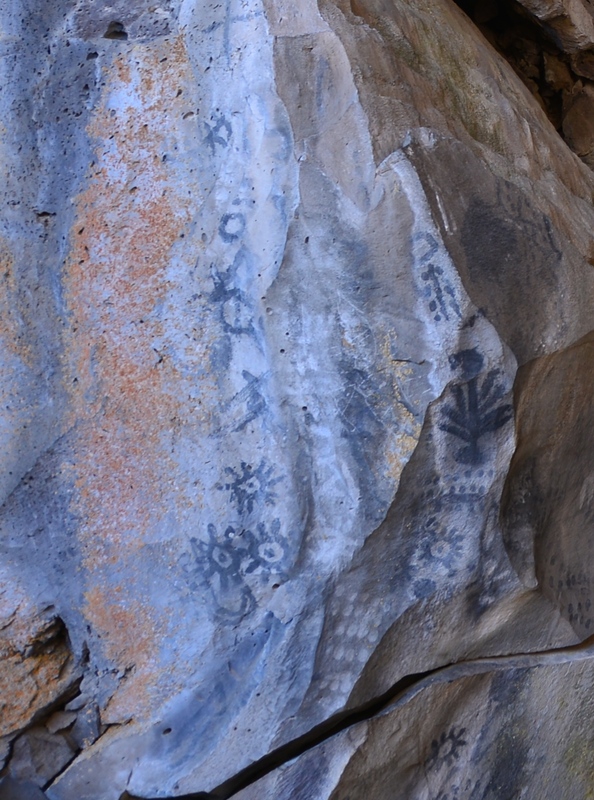 Donald discovered that some of the caves had Native American pictographs. And they were amazing. 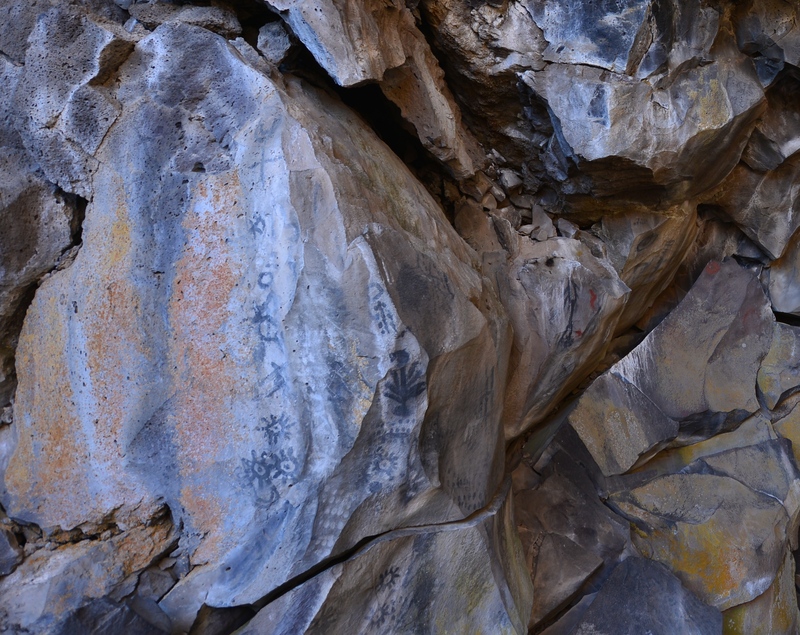 And it was also great that they had not been marked with graffiti or shot up by some Bonehead. 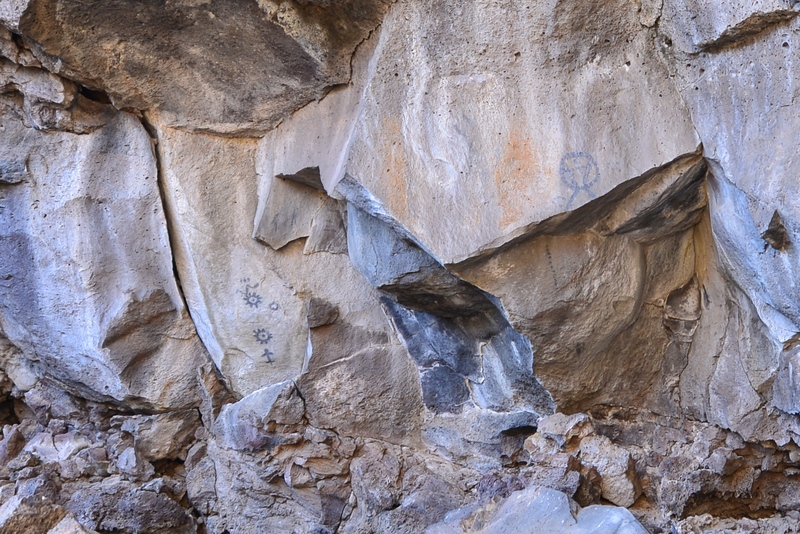 We found both pictos & petros at Sentinel Cave and Petroglyph Point. 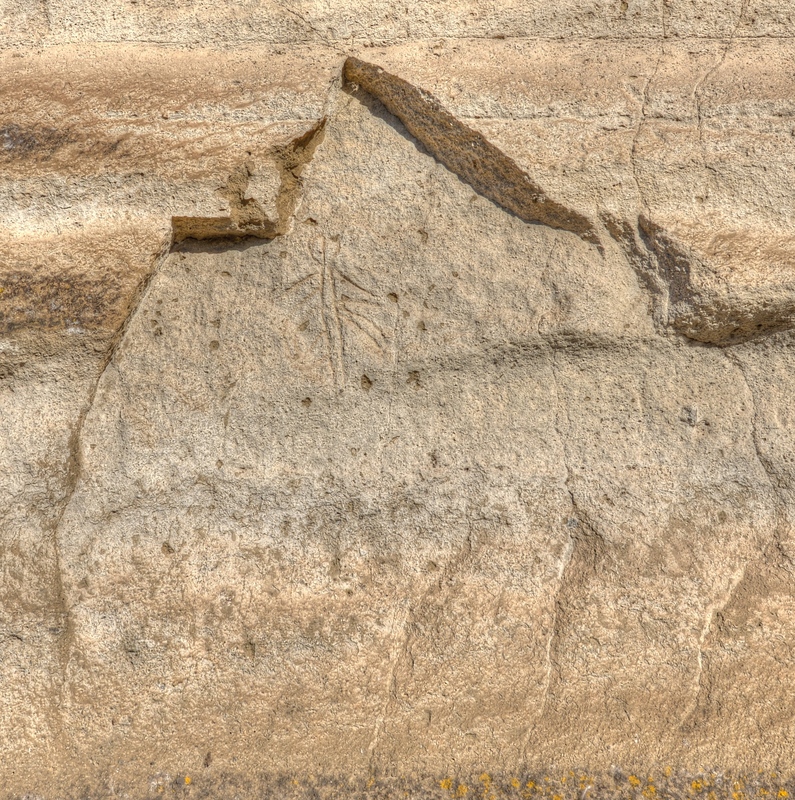 Unfortunately Petroglyph Point is fenced off due to previous vandalism. 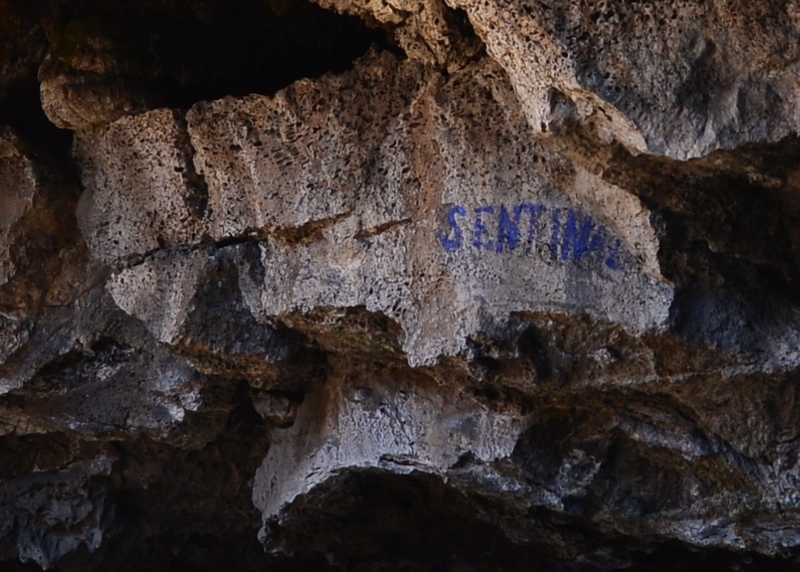 Exit to Sentinel Cave. Hopefully not marked by current explorer. 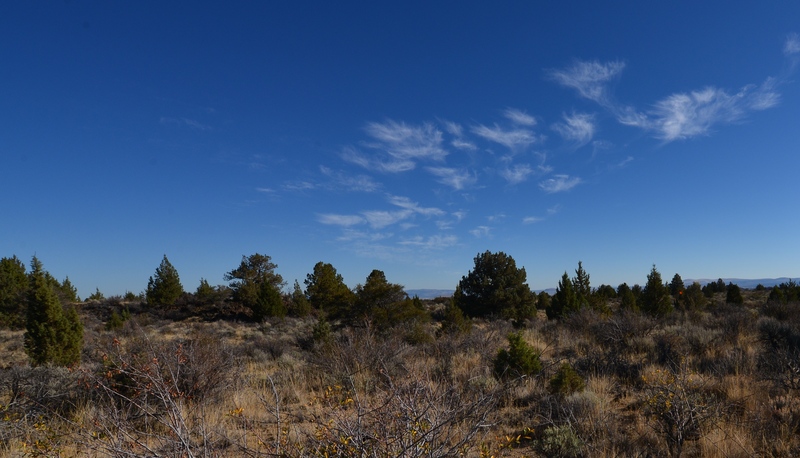 Lava Beds National Monument is also home to a wildlife refuge and attracts thousands of migrating birds each year as they head South. 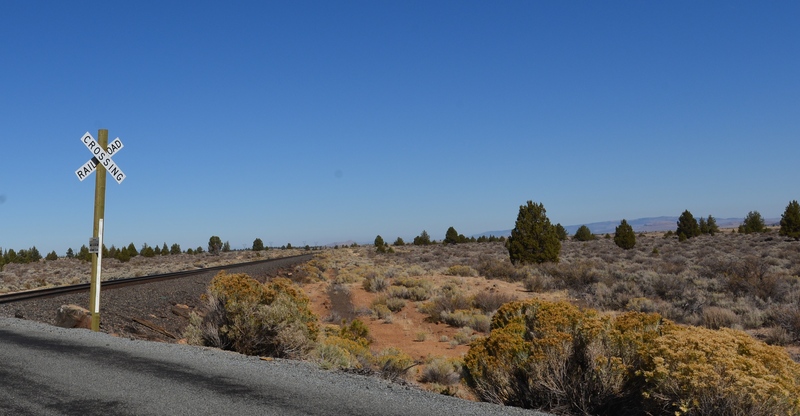 Unfortunately we did not find a good RV stopping point – we camped at Eagle View Campground in the tiny, tiny town (ok, maybe not a town) of Tionesta. 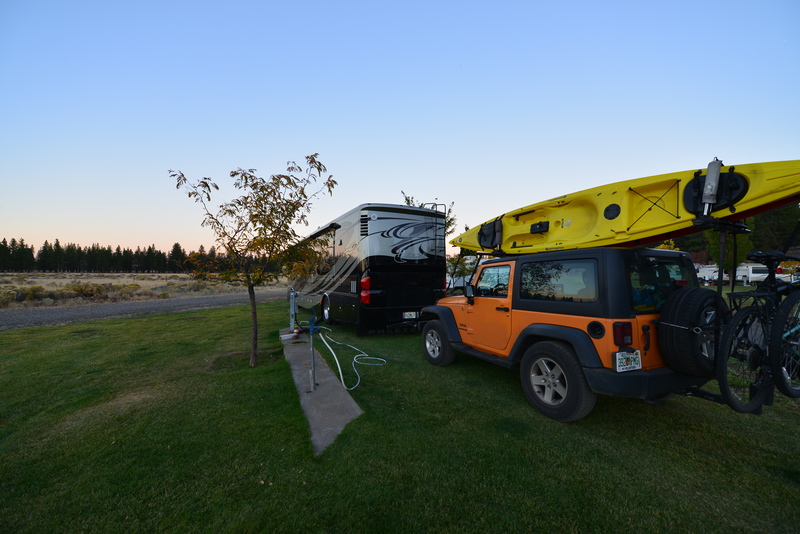 Could not put the Jacks down due to soft ground – so we camped “slides in” for the night.